NOVEMBER 30, 2014 10:08 a.m.
Representative democracy is a weird practice. Often it has nothing to do with an actual majority wish of voters. This November, nationally, roughly 70 voters out of every one hundred decided it was not worth-their-while to vote. Of the thirty who did vote, 16 of them determined the results. Sixteen out of one hundred. A perfect size for a clique. It’s probably good to remember a democratic election first gave Adolf Hitler power. When only sixteen out of one hundred control power, is it surprising those sixteen feel empowered to change the rules to ensure they keep power? Is it surprising Voter ID laws, the modern version of a poll tax, are sweeping the regions where the least number of voters vote. No wonder the first fourteen years of the Twenty-first Century begin to look a lot like the last fourteen years of the Nineteenth albeit with lots more gadgetry. Anarchists, fascists, zealots, totalitarians, capitalists, charlatans all finding fertile ground in widening inequality and a world-wide web which gives them instant access to the eyes and ears of much of the planet’s humanity. It’s as if the faster we communicate, the less we think. This month two expressions from the past keep circling my pysche. Number one was my Aunt Sue always reminding me “Don’t cut off your nose to spite your face.” The first time she said it, I was young enough to take it literally and recall vividly picturing the act and then thinking, but I don’t even have a knife. A few years later I began to understand the less literal meaning, but only recently, as I tutor up-and-coming journalists, has it dawned there is a deeper wisdom to that cliché. Apparently, as Galway Kinnell put it, for slow learner like myself one has to “live a long time alone” to appreciate that deeper wisdom. give hope to the pine and barren brethren. and sandals, a blend of capital schism. OCTOBER 22, 2014 8:01 p.m.
New York Times columnist, author (Journey from the Land of No) and poet Roya Hakakian visited Keene State College in early October. At dinner I had the opportunity to ask whether she considered it religion (She is Jewish.) or politics which caused her to leave Iran after the revolution. She said what drove her from Iran was the removal of gender rights women in Iran had earned over the middle decades of the last century. Then Hakakian, a former associate producer at CBS’s Sixty Minutes went to say that much of the religious conflict driven in the world today is really about gender rights. She has a point, if one looks at the agendas of religious extremists whether they be Christian, Muslim, Jewish, or Hindi, one of the common tenets of each is the stripping of rights from women. Extreme Christianity in the U.S. may not be as extreme in its methods as in other religions across the globe, but it is certainly just as committed to rolling back the rights of women—whether it be reproductive rights, voting rights or requiring submissive posture, the goals, though not the means of enforcing those goals, are much the same as in the Third World. And since any religion is a belief, it is simple to layer on factual problems such as inequality or environmental degradation as ballast. The whole conversation brought me back to Robert Bly’s 1970 book The Teeth Mother Naked At Last. Did he intuit then the great fear of extremely conservative males now. Regardless, it’s still all about power and the fear some men have of sharing that power. One wonders if it is more than ideology that so often keeps the three women on the Supreme Court voting in the same way. Do they see far more clearly than their male counterparts that all these sideways whittling attacks on one Constitutional right after another are just a gradual assault to remove power not only from minorities but also from one gender? To place women in the same easily controlled boxes that African-Americans, Hispanics, Arabs and almost anyone else non-white and conservative Christian? Why there would be an American movement to restrict the rights of fifty percent of its population and brain power I don’t fathom, but power is power. Add fear of losing that power and it becomes potent enough to those with fear and power who also can’t see the forest for the trees that they’ll fight bitterly to protect it. The good news is the ballot box in the U.S.–despite what propagandists may exclaim–is still the acceptable route to changing and influencing power. Something I suspect women quietly understand. The question is will they utlilize that power. Vermont Senator Bernie Sanders visited Keene State College yesterday and bluntly confronted the issue when one doesn’t vote by substituting youth for gender. Sanders emphatically stated politicians listen to people who vote. He used the two Koch Brothers as his example. They believe, he said, voting is important enough that they’ll spend four-hundred million dollars of their own money on it. Sanders countered that spending with this projection: It’s projected eighty percent of young people won’t vote in this election. Sanders then brusquely placed the gauntlet at the feet of the students in front of him, “Why should any politician listen to you who won’t vote when they can listen to two voters and get lots of campaign contributions to boot?” The long awkward silence which followed hopefully indicated he had made his point. I applied and I’ll vote, even if my gender’s rights aren’t currently under assault—some day they may be. AUGUST 25, 2014 2:25 p.m.
Ferguson, Ferguson, when I first saw mention of race trouble in Ferguson, I thought South Africa has blown up again. It did not take long for my faulty geography to become corrected. How could a small city the size of Keene, N.H., (Thank you John Oliver) which produced General Jimmy Doolittle of WWII fame and Enos Slaughter of St. Louis Cardinal fame have come to this. If one considers Slaughter’s views on the integration of major league baseball, maybe current Ferguson apples haven’t fallen much farther from that tree. Still, we’re sixty years beyond and one has to wonder how a city that is 67 percent African-American has a police force 90 percent white, a white mayor, white dominated city council and white dominated school board which recently fired its black superintendent. If it looks like a duck, waddles like a duck, and quacks like a duck, it’s a duck. Andrew O’Hehir of Salon.com has a worthwhile piece about why people like myself so easily fell into the misconception that Ferguson could happen in South Africa but not here in the septically clean advertising of these Good United States where white male dominance syndrome ignores the logic of what middle class means: There must also be an upper class and there must be a lower class. And if the perpetuation of that concept requires a middle class member to keep his or her head above water by standing on the shoulder of someone underwater, so be it. But sooner or later those underwater shoulders are going to come up for air and then the whole system, including those at the top, comes tumbling down. White male dominance is a nova that has been dying for almost a century but do not kid yourself, it will not extinguish without as large a bang as it can possibly create. One might consider the weaker that idea becomes the more shrill become its advocates, but be wise to keep in mind that as it collapses upon itself, the more unstable it becomes. to make her pink, like her palms, like his skin. wiped them on his leggings. The match ended in seconds. pure as snow, had forgotten he’d hid it. No one said a word. an oasis: groves of oranges, laden dates. Post script: Last evening (8-25) a friend expressed dismay over the now quarter-of-million dollars raised for the police officer’s defense fund. I’d suggest taking a different approach. There are over 300 million people in the U.S. and if my division is accurate (a big if) one could make the argument that for every ten people in the U.S., someone donated a penny. Changes the perspective quite a bit. AUGUST 10, 2014 2:59 p.n. Nashville Cats and more . 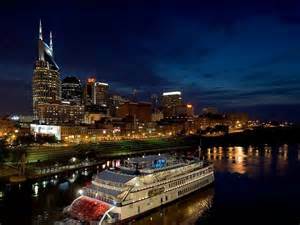 . .
Where the Cumberland River sweeps north in Tennessee there is a place where Yank meets Reb and East meets West: The city of Nashville, Tennessee, whose nickname’s Music City. A previous trip, a late November conference to Opryland years earlier when I had gotten no further than that complex, had left me thinking theme park and exaggeration. What could this city hold that compared to the music in old Quebec during the summer or New Orleans all year? More than I realized, and this second trip to Vanderbilt in late July sent me to the city’s woodshed for an emphatic, seat-of-the-pants schooling. Not even New Orleans can match the sheer volume of live music Nashville offers, sometimes three floors deep from morning until late into the night. For example, on a Wednesday afternoon, my daughter and I wandered down Broadway to Rippy’s: three floors, three balconies, each with its own live music. NOLA has its three-balcony clubs but usually only one of the balconies holds live music. Walk a block further toward the Cumberland and there is The Honky Tonk, three more floors, three more balconies, three more live bands. And every bar or saloon above, below or between those places also featured live music mid-week in July. It could be a festival but the festivals occur at an amphitheater on the banks of The Cumberland looking out at Titan Stadium—no festival until the weekend. This is a mid-week, middle-of-the-day live mix of country/western, blue grass, folk, R&B and newer mash I lack competence to ascribe. There’s more. I imagined Music Row on 17th and 18th Streets to be filled with shiny office buildings for BMI and ASCAP (music rights organizations). Instead it is blocks worth of agents, recording studios, and ancillary music stuff—almost all in single, family-sized residences. Though I did see a BMI building as well. Just to be certain this wasn’t imaginary, Friday morning, while I was busy editing video, my daughter strolled again into Rippys, about ten a.m., and found 8-10 year-olds performing, followed by the adolescents at 11, and the older teenagers at noon. All good. 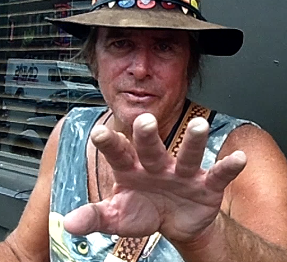 The clincher came later when my daughter, on our way to The Station Inn for more music, decided to eat prior to the show and she observed a clothing store across the street which she felt obliged to browse. Not a place in which I had a great desire to spend time, I held two seats at the restaurant while she shopped. It turned into a longer shopping experience than I anticipated. Asked why, she indicated even the clothing store had a stage with live music and by the door was the resident dog relaxing on his comfy sleeping pad—a doggie bed designed as a Hank Williams convertible. The closest thing I know to that was Rotman’s Furniture Store in Worcester, Massachusetts, which used to hold acoustic music shows on the third floor of their furniture store every weekend. I’ve not mentioned The Grand Ole Opry or Ryman Auditorium. There is no need. Every city can lay claim to some of that kind of authenticity but live music in a clothing store? There’s also the General Jackson, a 300-foot stern paddle wheel showboat that makes its way fifteen miles up and down the Cumberland sometimes two or three times daily during tourist season. Three floors of music there as well although not all at the same time. A tour of the pilot house brought reality to Mark Twain’s comment in Life on The Mississippi, “A pilot, in those days, was the only unfettered and entirely independent human being that lived in the earth.” For four hours, I felt the ghost of Sam Clemens pleasantly at my side. Expensive, but for the experience or a special occasion, worth it. If there was one thing missing in all this music, especially on the General Jackson, it was blackness. Memphis and R&B aren’t that far removed from Nashville. Granted country western and blue grass emerged out of white cultures, but gospel has richness in both cultures. There may have been one African-American signer on The General Jackson, hard to say under the lights which I suppose holds a larger truth but it needed more—Johnny Cash and Elvis got their Caucasian singers, in all of this Nashville music couldn’t one find another African-American singer with a quality voice to do Otis Redding and Aretha Franklin? To keep perspective, my shuttle driver informed me on my return to the airport, music is only Nashville’s fourth largest industry behind medicine, tech and finance. Ok, still it’s gratifying to know music can stand shoulder-to-shoulder with banking, just a dash more color and music might stand a head above those other shoulders. It’s still exciting to find a destination where the hype of the nickname is exceeded by the reality. JULY 21, 2014, 7:50 p.m. In a recent blog piece writer Karen Garcia cites a Wallace Steven’s poem, “The Emperor of Ice Cream,” as a basis for reducing Barak Obama’s presidency to that of an ice cream vendor. Garcia did not intend it as a compliment. Interesting things happen when one starts to mix politics with academic explications of a poem. For example, one academic’s footnote  of “The Emperor of Ice Cream” states its meaning as “The antithesis between the ineffectual domain of death and the domain of luxuries (big cigars) and commodities (ice cream . . ..” If the internet is any judge there are many who will join Garcia in the implication Obama’s tenure has been as ineffectual as death and accompanied by luxuries and commodities. There is something about tasting a bowl of real ice cream which immediately lifts one’s mood and emotions. 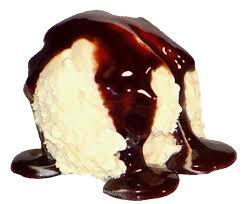 Do you know of anyone not lactose intolerant who does not just like ice cream but love? I don’t, but maybe my world is too small. I am suggesting the Secretary General of the U.N. and Secretary of State John Kerry take advantage of this universal relish for ice cream and insist that prior to every negotiating session between Arabs and Israelis, between Ukrainians and Russians, Afghans & Afghans, Democrats and Republicans, CEOs and Unions, Sunnis and Shias, each and everyone be required to enjoy a bowl of ice cream. Further, each time negotiations verge on collapse, a snack break be required and the participants be served another bowl. Lastly, all this ice cream tasting should be face-to-face so that the negotiators may see the other enjoying the same satisfaction as the finest bowl of Ben & Jerry’s vanilla can provide as it melts on the palette. I submit the break will permit negotiations to prosper because everyone involved will have had his or her spirits lifted and moods lightened and finally located a common ground from which to move forward. It is the weaned version of mother’s milk and I submit as one tastes it, all those wonderful sensations one experienced as a baby somehow become unlocked from distant memory and the world’s problems appear puny in comparison. Wallace Stevens said of his poem, in a 1933 letter to a friend, “I think I should select from my poems as my favorite the Emperor of Ice Cream. This wears a deliberately commonplace costume, and yet seems to me to contain something of the essential gaudiness of poetry; that is the reason why I like it.” Stevens was inspired to the poem when he observed the Key West custom of serving ice cream after funerals. He may well have intuited ice cream was one of the few universal obsequies that could raise the spirits of the mourners, to rekindle that eternal bond between child and mother—poetry and art is a facsimile of that, much like the post-march jazz at a New Orleans funeral. 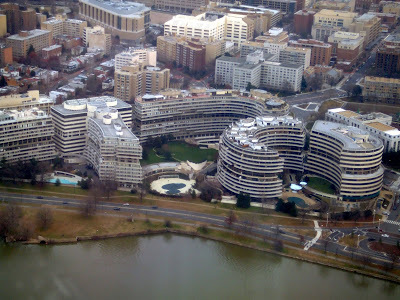 JULY 1, 2014 3:19 p.m.
Wheezed a crooked cow town named Watergate. Plumbers thieving His love letters to Calamity Jean. 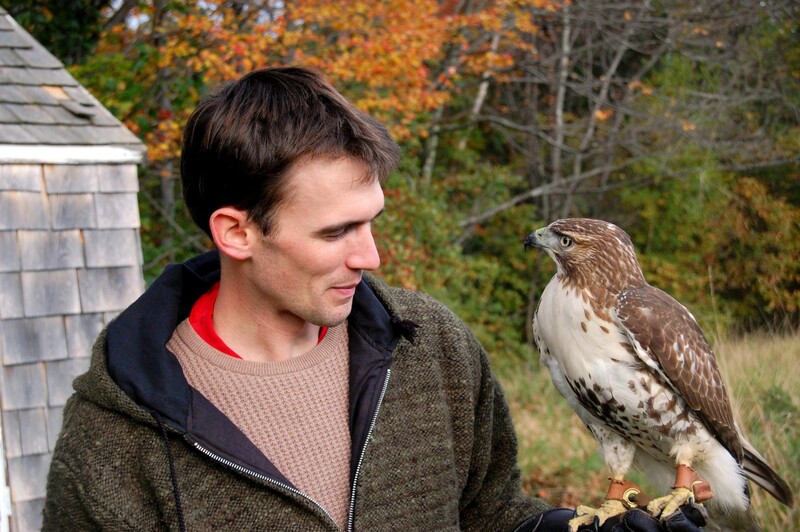 Eagle Tom and the sheriff at Election Gorge. Oil he’d been hiding for the winter. And Doc Elliot in a pine, six-foot box. Up a posse he called the See-Lect Eight. Becoming that of the law from Watergate. Under his coat and a bottle in his hat). But the posse galloped into Sirica too late. Face down in the dust lay the marshall and the doc. surprised even Tricky–but only a second. Presented to Uncle Sam (who’d caught his breath). years breaking rocks at San Clemente. The Tape House recreates an annual show. 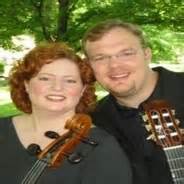 MAY 24, 2014 3:09 p.m.
For a number of years guitar virtuoso Richard Smith and cellist Julie Adams have made a stop in Dublin to put on a small-venue show and let rural Yankees see and hear what musicians at the top of their craft can produce. Every one of those shows produced something enjoyable and memorable, each almost always including a Sousa march in which the guitar and cello replaced every section of a marching band, including the drummers and still produced a march that had the audience at attention, ready to salute and move out in perfect cadence. But last night was more than that, a rarefied atmosphere where artist and audience bonded enough so that both accepted it was okay to scrap the playlist thereby freeing artists and audience to follow their whims and see where it took them. It was not long before one could sense this night was special—the kind of unexpected convergence one talks about decades from now, that special happening when one gets to observe an artist loosed from expectation and freed to just follow his or her curiosity, whether that artist is a plumber creating perfect joints , angles, and solders; or a painter saying, “Let me try this and see what happens;” or, as novelist Ernie Hebert once said, “A telephone lineman whose connections of the old red, yellow, green, and black wires turned a junction box into a sculpture. Tonight it was a guitar player and a cellist who decided we have an opportunity here, why not play this by ear and see where it goes. And go it did, from Bach to Irving Berlin, from Scott Joplin to The Beatles, from Spanish guitar to TV theme songs, Julie Adams and Richard Smith took their melodies and pushed them where those melodies hadn’t been before. Sure there was the ooh and ah of riffs that defied my limited comprehension, but this night’s virtuosity was more than that—those hard-to-believe riffs weren’t done to show off, they were done with reverence to the melody that spawned them. They were done to enhance it, much as a parent enhances a child, watches that child grow into its own—a new being proudly looked upon by the one who gave it life. That alone had made the evening more than enough, an extended evening of music that left all 35 or so listeners sated, complete and as Shakespeare has Henry say, “We few, we happy few.” But an encore was wanted and so after a bit of back-and-forth between the two over what they should play, Julie’s wish took precedence. It didn’t seem there could be anyplace left for them to go, but indeed there was. It’s been a month into 2014. What shall the year bring us? A repeat of 1914? Certainly the Caucasus and Middle East are ripe for it. 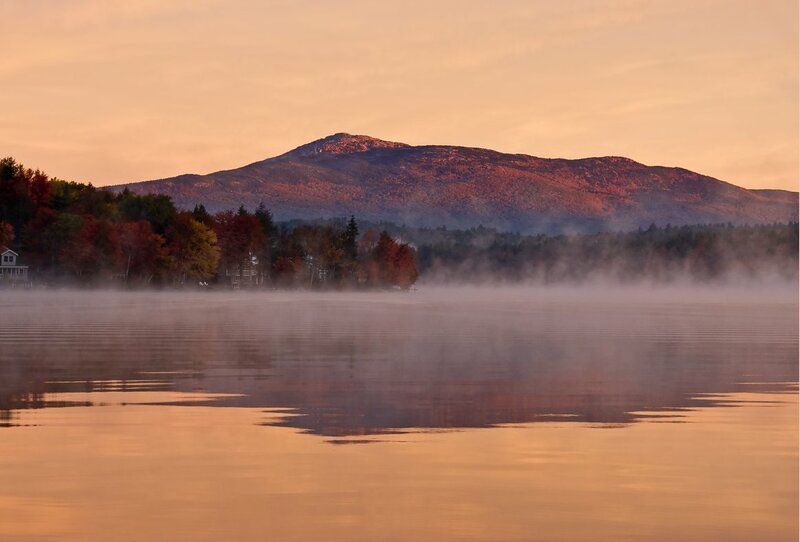 But this photograph by Gordon Ripley of an autumn sunrise along Mount Monadnock makes me think otherwise. Forty-eight years ago this month, I was just back from Vietnam, shoulders heavy with war, on my way from a home in the Pennsylvania amish country to a new posting at Fort Devens, Massachusetts. I drove late into the night until the cold and fatigue caught up with me as I crossed the Connecticut/Massachusetts border on I-84 and found a rest area on the Mass. Pike likely near Sturbridge. I pulled in and as all good soldiers know how to do, went right to sleep in my car. At dawn I opened my eyes and spread before me was the entire Central Massachusetts landscape: the Connecticut River valley on the left, Quabbin Reservoir to the center, a distant Boston far to the right. Presiding over it all was a tree-lined, snow-capped mountain with a granite peak−Monadnock, He who Stands Alone. I did not know then of Monadnock and Emerson, Monadnock and Thoreau, Monadnock and Older, or Monadnock and Kinnell. It was the vision I recognized at that moment. Upon this great rock I would anchor the rest of my life. Only much later did it become clear how it has anchored so many others of this culture and those before that who gave the rock its name. The mountain is a mystic, magically transforming its few thousand feet of altitude into a height recognized around the planet. Even the dictionary finds its attempt at clarity undermined by its connotations: “monadnock In geology , a single remnant of a former highland.” Monadnock, the last man standing. The mountain befuddles most photographers and painters—revealing its power to mesmerize only to those who can see beyond their craft. I recall a mid-winter in early 1990s when Chinese poet and translator Zhang Ziqing visited to see for himself this place of Thoreau and Emerson. Snow piled to the eaves of houses as we drove out to good vantage beyond Jaffrey, New Hampshire, and stopped. Ziqing pulled out an Instamatic camera to take a photograph and because I had tried and failed many times to use an Instamatic to photograph the mountain, I knew it would miss the magic. It was like photographing a ghost in a mirror. I said, “No, no, the picture won’t come out.“Something got lost in the translation because he put away his Instamatic, but when he returned to Nanjing University, he wrote an essay about how Monadnock is so sacred that one is not permitted to photograph it, and so, out of a cultural misunderstanding, was born the Monadnock Pastoral Poets and their sacred mountain. As the decades have passed and I have seen its effect again and again on others, it has occurred to me that he was right. The mysticism of He Who Stands Alone had taken possession, and I did not know it.According to the 2014 Fairpoint phonebook, Monadnock has possessed at least 117 other businesses as well: Monadnock schools, Monandock banks, Monadnock dairys, Monadnock dentists, Monadnock septic tank cleaners, Monadnock Music and Monadnock Writers, Monadnock family services, and Monadnock Fence, the list like the mountain goes on and on. We are as spiritually under the influence of this gray whale of a rock today as were Henry David Thoreau, painter William Preston Phelps, and Mark Twain, who wrote in his autobiography about its magic during his summers in Dublin, N.H.